Pilkington Activ is a durable, coated, neutral coloured, self cleaning glass that requires less frequent cleaning and provides clearer vision during and after rainfall compared to ordinary float glass. 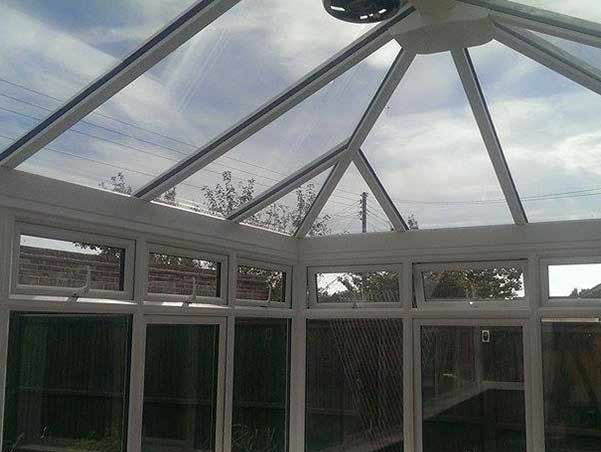 The coating is securely bonded to the surface of the glass and has good scratch resistance and durability and in most circumstances can be treated the same as ordinary glass. 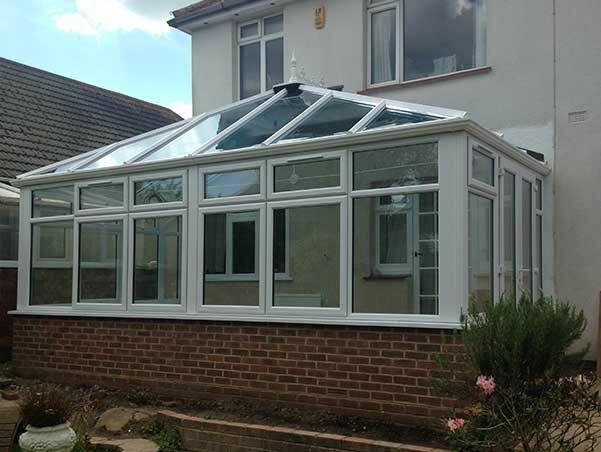 The coating will not degrade with time and will last the lifetime of the glass. Under normal conditions the unique coating destroys organic contaminants on the surface and increases the water sheeting action on the coated surface. This alows dirt to be washed easily from the surface and should greatly reduce the need for manual cleaning. Pilkington Activ can be supplied in toughened or laminated and glazed as a single pane or incorporated into an insulating glass unit, in every case the self cleaning coating must be positioned externally when glazed. To understand why flowers always look so clean and fresh, just look how rain water beads up on the plants. Rain water on windows treated with Rain Racer will trap the dirt in the water beads and roll it off the glass. Rain racer is a hand applied Polymer coating that can be applied to any glass panels in situ without the additional cost of replacing your existing glazing, it is virtually self cleaning, stain resistant and has a light scratch resistance due to it’s lubricity. The unique coating will not be removed should extra cleaning be required. 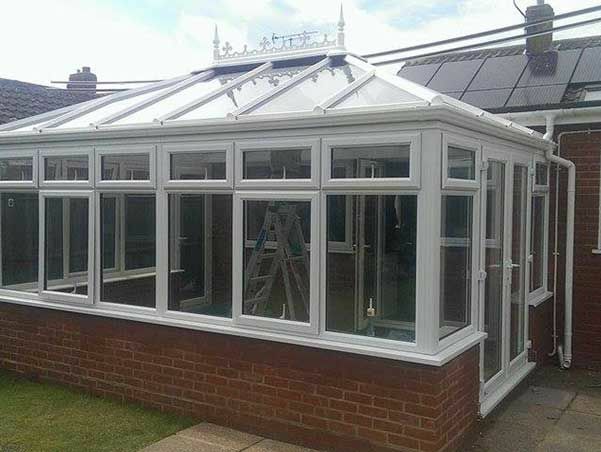 Whether you are living or working on a main road, sea front, dusty lane or near a railway, Rain Racer will stop algae from growing on glass conservatories and every time it rains it will remove all the dirt from the glass leaving it looking clear and clean. The coating has an average lifespan of 7-10 years, it will naturally dissipate microscopically with time and when required can be re-applied. There are no chemicals required with Rain Racer, should your windows become heavily soiled at any time, washing with soapy water will restore and reinvigorate the self cleaning properties of the coating.